Ditto Looper is the only looper designed specifically for guitarists. It combines all essential looper functionalities with an intuitive one-button UI, a true-bypass, analog dry-through design, ultra-small footprint and 24 bit uncompressed high quality audio. 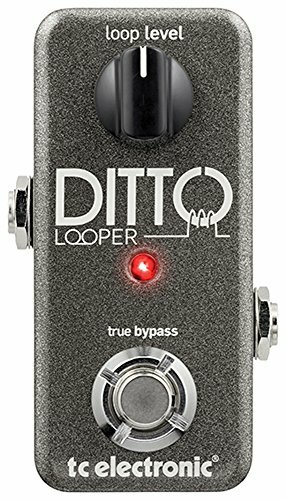 With 5 minutes looping time, unlimited overdubs and undo/redo functionality, Ditto Looper is the perfect blend of quality, creativity and simplicity. The item Ditto Looper requires a 9 V power supply providing 100 mA or more (not supplied). If you have any questions about this product by TC Electronic, contact us by completing and submitting the form below. If you are looking for a specif part number, please include it with your message.